Easy to set up and very easy to use! 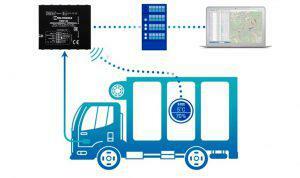 Bluetooth wireless communication technology to monitor the temperature and humidity of your cargo! Perfect monitoring solution for wide use in the cold chain logistics, freezers, refrigerators and other temperature sensitive cases. The sensor uses advanced Bluetooth 4.0 LE technology to get data from a long distance, it can work from the internal battery up to 300 days! Collected temperature and humidity information of the surrounding environment is transferred to FMB device which has the possibility to support up to four temperature sensors at the same time!